The Alliance is pleased to announce the winners of our 2018 Best of the Chesapeake Photo Contest! We received over 100 entries this year, and each image portrayed an important message about the beauty and fragility of the Chesapeake Bay and its watershed – but there were a few that stood out to our judges. Check out our winners below! Thank you to all who submitted to our contest! 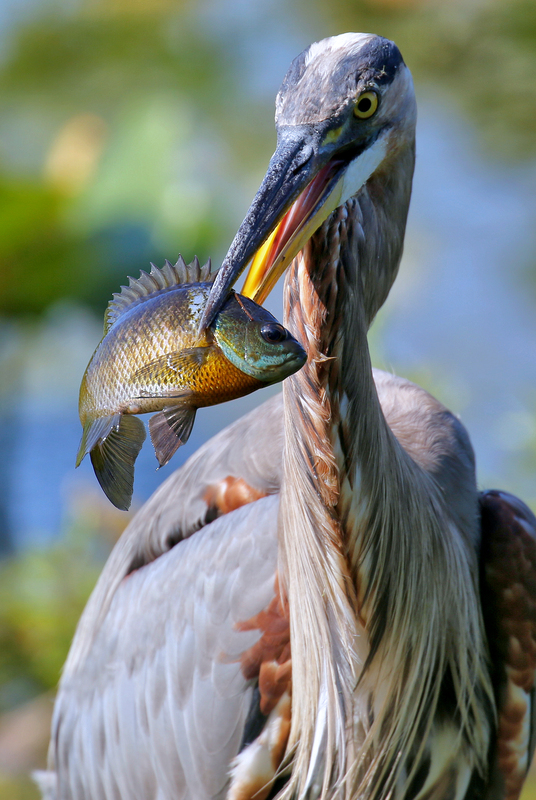 See all of the winning photos on our blog. Taste Tickets Almost Sold Out! We are counting down the days to our annual Taste of the Chesapeake Gala and Silent Auction! Only 12 days left! Join us as we recognize our Environmental Award Winners − Nick DiPasquale, Beau Breeden, Scotty Guinn Dilworth, and Matt Kofroth − and celebrate the Alliance's Chesapeake restoration work! Highlights of this year's Taste will include Chesapeake cuisine, local wine and beer, an ice cream sundae bar, an awesome silent auction, live music, and much more! Some of our silent auction items include a weeklong vacation in a charming Vermont farmhouse, an afternoon fishing trip with Shawn Kimbro, and two tickets in the 100-level for the Washington Capitals (including access to the VIP lounge)! Hurry and get your tickets now! This year's Taste will soon be a sell out! When students return to school at Binford Middle School on September 4th, they will be the first to walk across a freshly laid entrance made of permeable pavement, thanks to Binford’s Green School Initiative. As part of a National Fish and Wildlife Foundation grant, Meredesh Dash, our RiverWise Schools Coordinator, has been working to provide watershed education to each grade level and will continue that effort with 8th grade this year. Binford’s Green School Initiative is a collaborative effort between the Alliance and its partners to determine what type of stormwater best management practices (BMPs) were practical for installing on a 103 year old historical school building. Binford Middle School’s Principal Rickey worked with the Alliance and Richmond Public Schools (RPS) Facilities to choose which BMPs were feasible to install and would have the most impact. The final choices were: permeable pavement for the entrance, conservation landscaping in front beds, and a rainwater harvesting system that doubles as a beautiful sculpture. Read more about this project and what makes it unique on our blog! 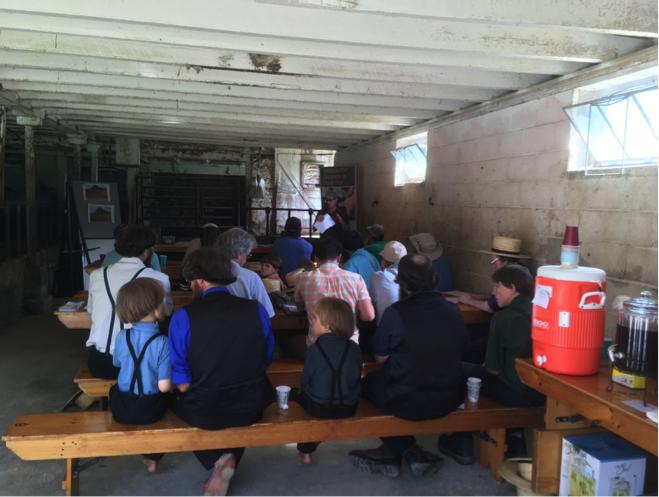 On August 9th, the Alliance partnered with a plain sect farmer located in the Octoraro Watershed to host a field day for farmers to learn about pesticide management, soil health, streamside buffers, and various funding opportunities available to support these types of conservation practices. 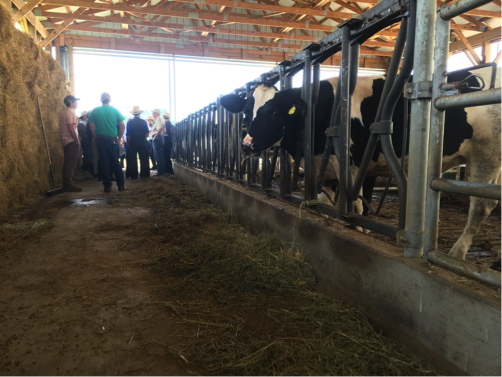 In 2015, the landowner had extensive improvements made to his farm, including a riparian forest buffer, manure storage facility, new barn spouting, and a concrete barnyard. Being able to showcase these conservation practices made the farm a great location to showcase agricultural conservation practices in action! In the morning, partners − including Penn State Extension, USDA NRCS, Stroud Water Research Center, TeamAg Inc., Octoraro Watershed Association, and the Alliance − educated attendees on BMPs and listened to farmers discuss successes and challenges they've had while adopting more environmentally-friendly practices on their farm. 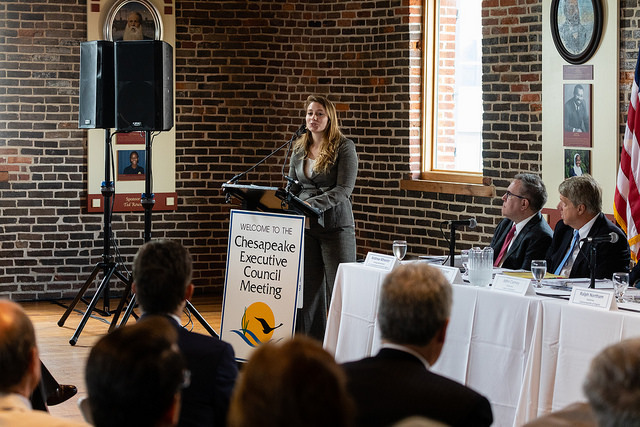 On August 7, members of the Chesapeake Executive Council (EC) came together in Baltimore, MD to guide the policy agenda and set restoration and conservation goals for the Chesapeake Bay Program. At this year’s meeting, the governors of Delaware, Maryland and Virginia, the acting Administrator of the Environmental Protection Agency, Chairman of the Chesapeake Bay Commission, and representatives from New York, Pennsylvania, and West Virginia, signed a directive in support of increasing technical assistance to the farmers of the Chesapeake Bay watershed; announced that the Bay Program will be setting new targets for their Diversity Outcome under the Chesapeake Bay Watershed Agreement; and heard reports from the chairs of the Bay Program’s three advisory committees – citizens, local government and science and technology. Governor Hogan was re-elected for his second term as chair. This year’s EC meeting saw several Alliance staff members playing prominent roles. Jenna Mitchell, the Pennsylvania State Director, addressed the Council in support of increased technical assistance to farmers. Rachel Felver, Communications Director for the Chesapeake Bay Program, led the coordination and planning of this year’s meeting, and Will Parson, Chesapeake Bay Program Multimedia Specialist, was the photographer for the event. 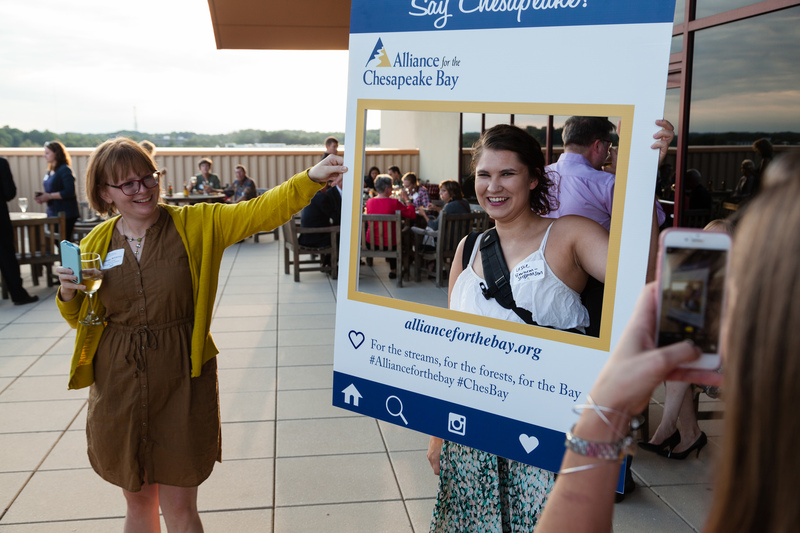 The Chesapeake Bay Program Communications Office is staffed by the Alliance for the Chesapeake Bay. Bioblitz Documents Hundreds of Species! Chesapeake Forests Program Manager Ryan Davis hosted a Bioblitz event in August with Charlotte's Quest Nature Center in Carroll County, MD! What is a Bioblitz, you might ask? A Bioblitz focuses on finding and identifying as many species as possible in a specific area over a short period of time, typically 24 hours. Charlotte's Quest Nature Center is a small environmental education nonprofit housed in Pine Valley Park in Manchester, MD, that provides opportunities for local children and families to learn more about the nature around them. This Bioblitz began in the evening on August 10th and ran all night long, through the heat of the day, and ended the evening of the 11th with a celebration of success. Professional and amateur biologists documented hundreds of species, and the data will be added to the Maryland Biodiversity Project, which houses all detections of plants and animals in the state. This information is valuable for assessing trends in species occurrence, and for setting conservation priorities. 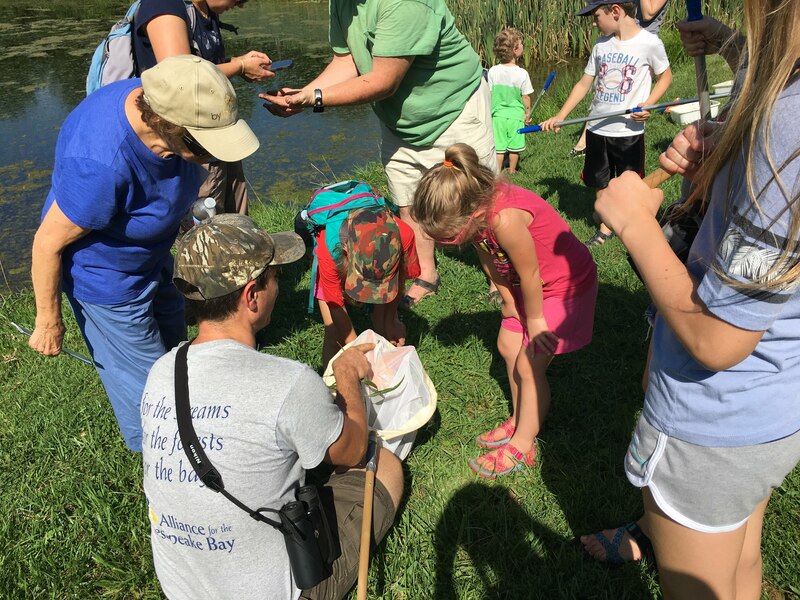 Beyond counting all the plants and critters, the Bioblitz was an excellent opportunity for members of the public to more about their local flora and fauna! Visit our Forests for the Bay website to learn about upcoming events near you. Want to learn more about rain garden installations in DC? Join the Alliance for the Chesapeake Bay and DC Department of Energy and Environment for a FREE training. The DC RiverSmart Rain Garden Training will be held on Tuesday, September 11th from 9 am – 5 pm. 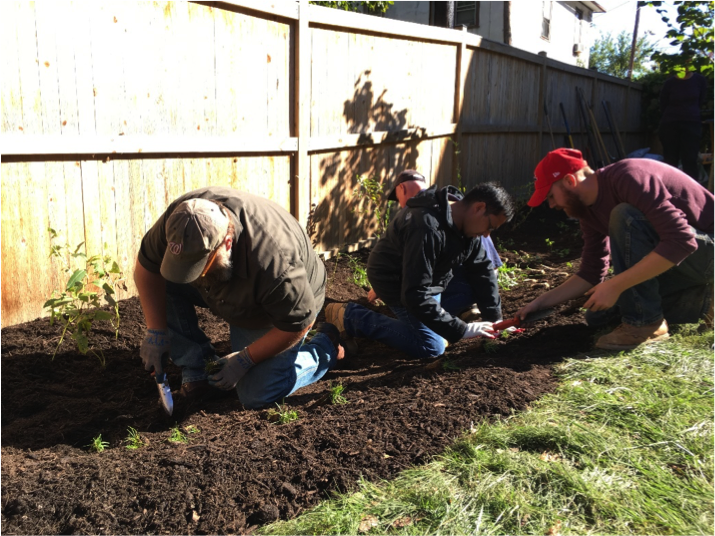 The bi-annual training will introduce participants to the RiverSmart Homes Landscaping program through a class room session and hands-on field exercise, with the opportunity to become a landscape installer. 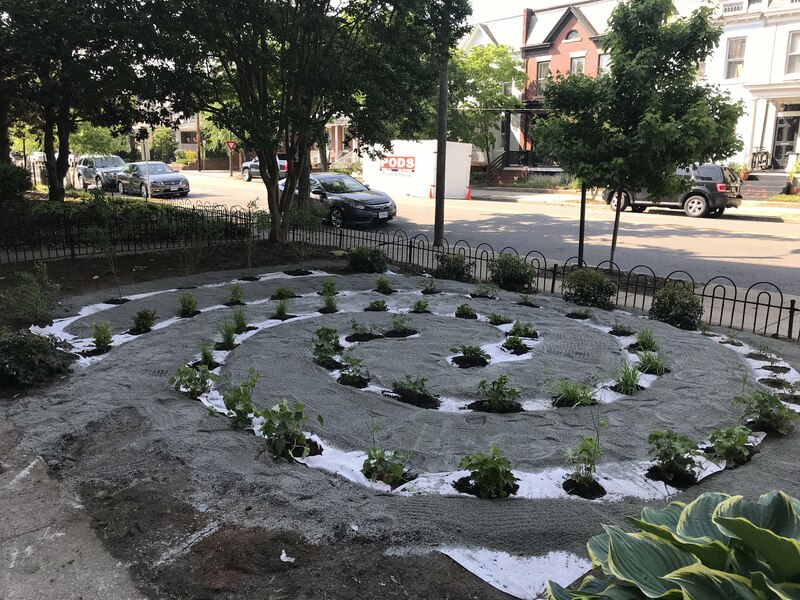 To learn more or sign up for our DC RiverSmart Rain Garden Training, please contact Laura Todd at ltodd@allianceforthebay.org or (202) 270-8235. La siguiente capacitación gratuita de jardines de lluvia para contratistas se llevara a cabo el martes, 18 de septiembre en español. Por favor regístrese hasta el martes, 12 de septiembre con Laura Todd (ltodd@allianceforthebay.org). ¡El límite de cupos es de 15 participantes así que responda lo más pronto para reservar su lugar! RiverSmart Homes Ward 8 Walking Tour The Alliance, in partnership with DC’s Department of Energy and Environment (DOEE) is leading a guided walking tour of RiverSmart Homes in Southeast Washington D.C. on Saturday, September 29th from 10:00 a.m. to 12:00 p.m. Come learn about the RiverSmart Homes Program by seeing rain garden, BayScape, rain barrel, shade tree, and permeable pavement installations first-hand. Participate in a storm drain marking activity and ask questions of Alliance and DOEE staff. To learn more or to RSVP for the upcoming walking tour, please contact Laura Todd at ltodd@allianceforthebay.org or (202) 270-8235. 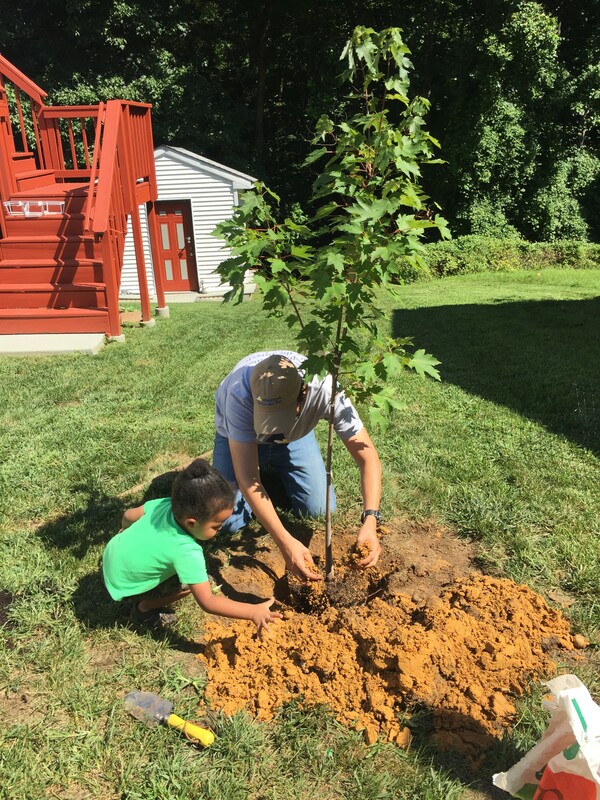 The Alliance's Prince George's Tree Champion Program (PGTCP), funded by Chesapeake Bay Trust and Prince George's County Department of the Environment, is preparing for four upcoming community tree planting events during the fall season! PGTCP focuses on planting 100 native trees on residential properties by leveraging existing community leaders to act as Tree Champions. Tree Champions work with our outreach partners, the Neighborhood Design Center, to engage communities and enlist pledges to plant trees on their property as part of a community planting event. Trees and materials are provided to communities free of charge and each tree planted will directly benefit the community through a financial stipend! Participating communities include: the Clinton View HOA, Camp Springs Civic Association, the Community Association of Marlton, and the Birchwood/Clearview Community Association. If you're interested in learning more about programs like the Prince George's Tree Champion Program, visit our website. Join us for our 2nd Annual Sportsmen's Forum in Lancaster County, PA! 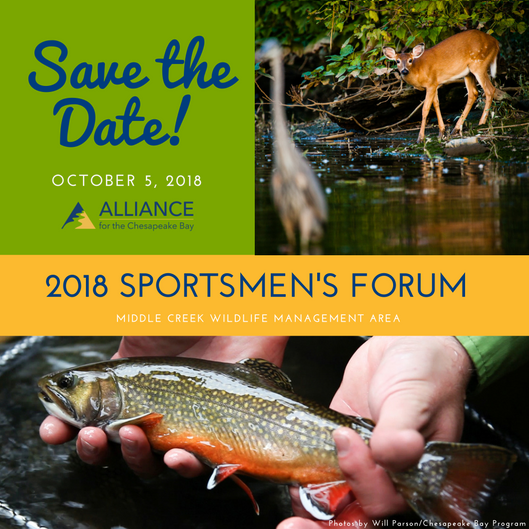 The Alliance for the Chesapeake Bay and our partners invite you to join us for our 2nd Annual Sportsmen's Forum at the Middle Creek Wildlife Management Area in Lancaster County on October 5th! Conservation organizations, watershed groups, hunting and angling groups, and other sportsmen are coming together for a day of collaboration with the common goal of healthy land, habitat, and waters. The agenda is packed full of opportunities to learn about new initiatives in land conservation, fish, and wildlife habitat restoration, prescribed burning, and much more! Our keynote speaker this year is John Arway, Executive Director of the PA Fish and Boat Commission, to share his perspectives on a sportsman’s role in conservation and what this means for the future. You won’t want to miss it! If you're interested in learning more or registering, visit our website. Welcoming Our Chesapeake Conservation Corps Member! The Alliance is excited to welcome Lucy Heller, our new Chesapeake Conservation Corps member, to our team! Lucy will be with us for the entire year, helping with projects in the Annapolis office such as Project Clean Stream, Tree Plantings, and Water Quality Monitoring. Lucy will also be developing and working on her own projects, as well as completing a capstone project. 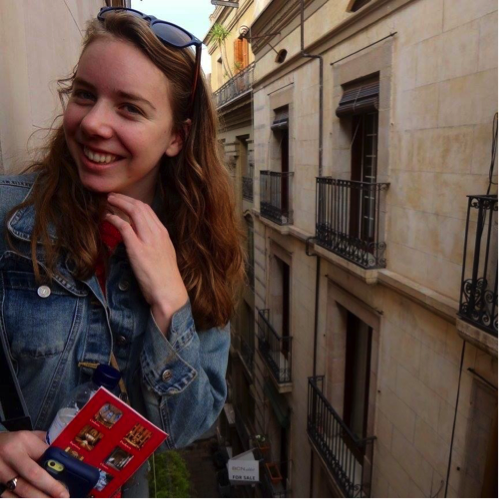 By the end of her year with us, Lucy hopes to learn more about community outreach, Chesapeake conservation, and about non-profit work in general. Read Lucy's fill bio to learn more about her. 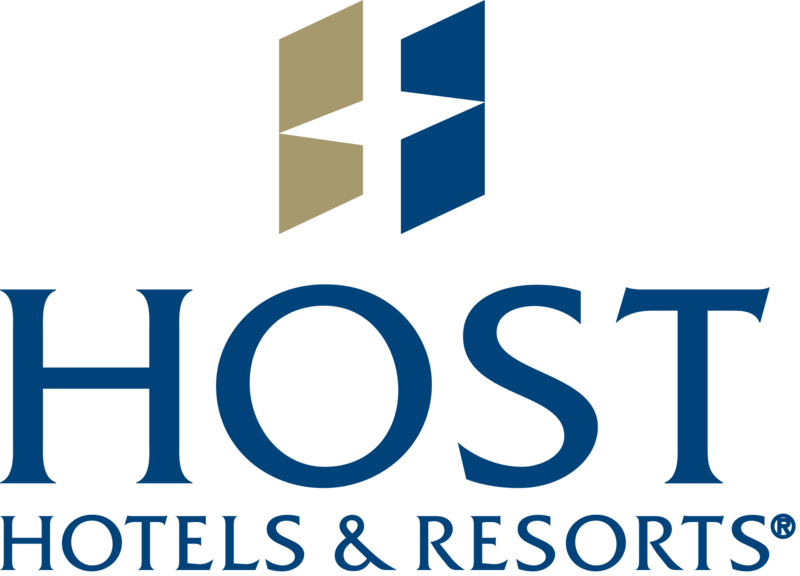 The Alliance would like to thank Host Hotels & Resorts for their 2018 Taste of the Chesapeake Platinum Plus Sponsorship!